Is it too early to show Christmas projects? Anyone who knows me, knows that I adore Christmas. 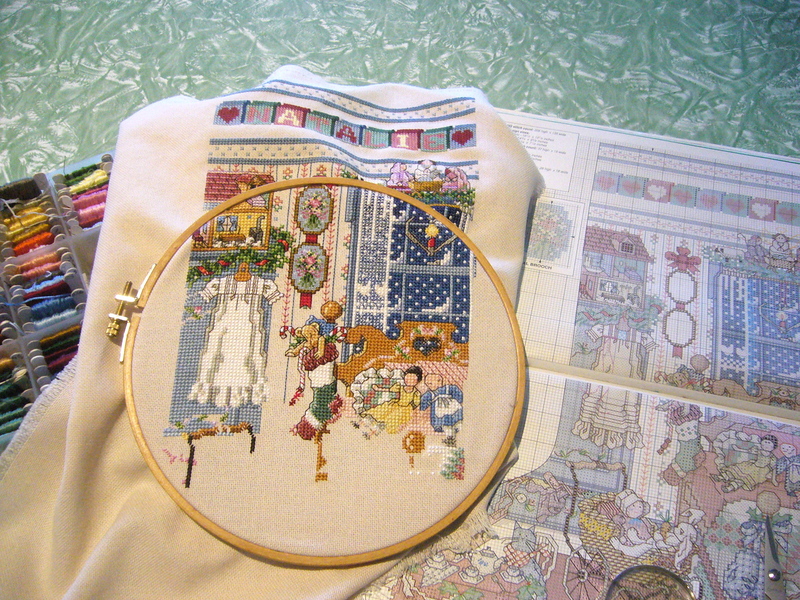 I’ve had the urge to start stitching again after a long hiatus from needlework. 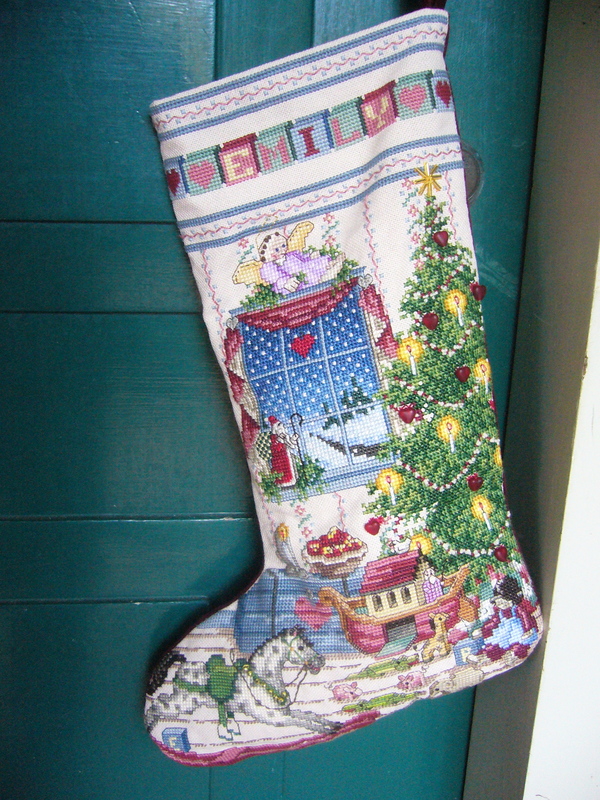 This is a stocking that I’m making for my oldest daughter, Natalie. It’s actually the second time I’ve stitched this pattern. I made the first one when she was quite small, and when we moved from Auckland to Wellington, the box that this was packed in, was the one box the movers lost. For many years ( she’s 19 now), Nat has asked me to make her another one. The pattern was originally published in a Better Homes and Gardens magazine, with a different version published annually. Eventually they collected all the stockings in this book, although there was one further pattern released in magazine format. 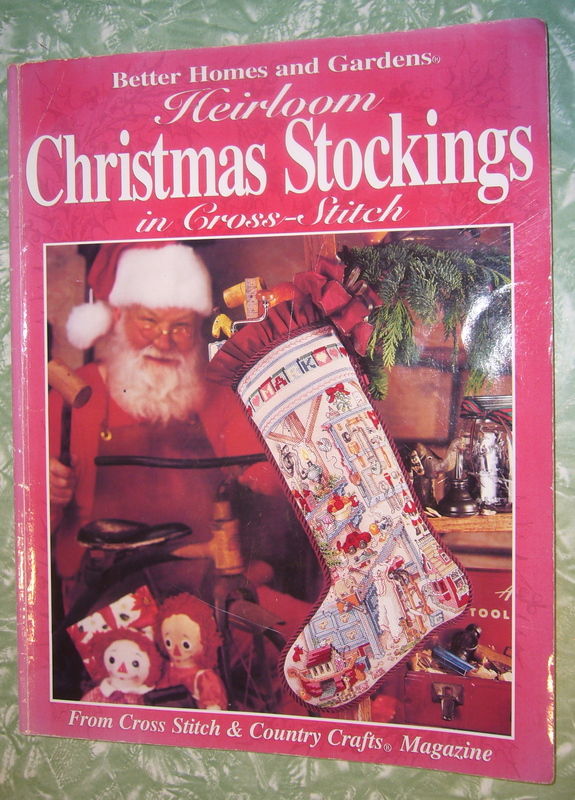 I’ve stiched another stocking from this book for my younger daughter, Emily. For that one I amalgamated elements from several of the patterns. Wish me luck in getting the stitching finished by Christmas! Cheers Karen. these stockings are unbelievable – didnt you also do one for Jackie? Love, N.
Thanks Granny, they are a pleasure to stitch, but no, the dog’s stocking was bought from Nieman Marcus! trust you to have bought the dog’s stoking from nm!